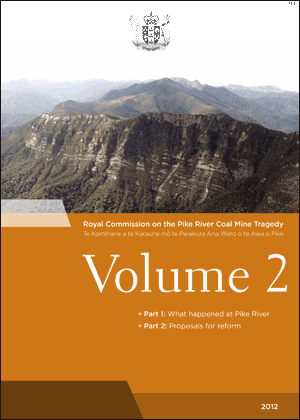 The Royal Commission on the Pike River Coal Mine Tragedy reported to the Governor General on 30 October 2012. Read or download the report below. Those people on the West Coast who would like to receive a printed copy of the Royal Commission's report may either contact us at info@dia.govt.nz or call into the Department of Internal Affairs office at 146 Mackay Street, Greymouth.